The thought of rescuing horses in need came from Dennis and Sue Pratt in 2004 as they were developing their personal property up the Troublesome Valley near Kremmling, Colorado. Dennis was raised on his uncle's ranch in Idaho and Sue was a city girl raised in Wyoming who always wanted to have a horse of her own. 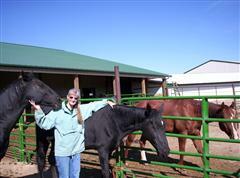 Structures and corrals were developed, the Rescue's Non-Profit status was obtained in 2005 and horses began arriving. With much hard work and desire to provide a home for horses, the Rescue is what it is today. The Rescue's Board of Directors include veterinarians, psychologists, horse trainers and marketing backgrounds. 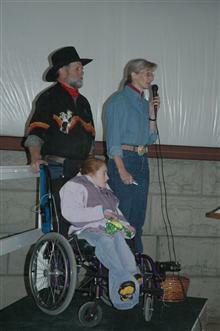 They help with guiding decision making policies affecting the horses and involved people as well. The Board also provides leadership administrative functions, fundraising efforts and programs for the horses and disabled children with special needs.